As for my USA-inspired look last week, I did the polka dots by individually dotting with a bobby pin. (I put a drop of polish on a piece of plastic, and dip my pin into in before each dot.) They didn't come out absolutely perfect, but I'm happy with how they turned out (especially my right hand - normally any nailart I do with my left hand looks.... interesting.). I didn't use any top coat this time, as top coats have a tendency to smudge nail art no matter how dry your polish is. 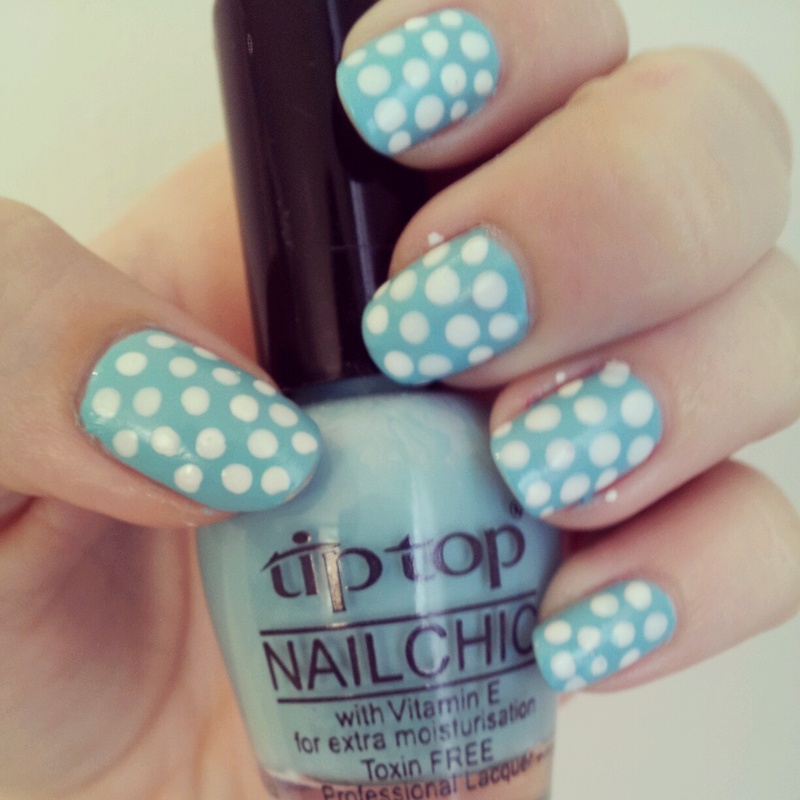 What nail polish did you wear over Easter?